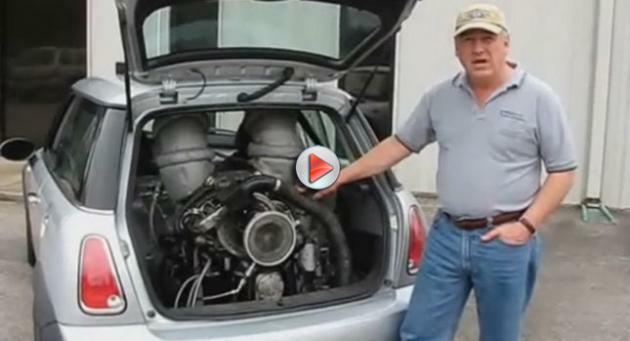 A MINI with a jet engine? That's gotta be insane. A Texas based firm called BMP design squeeze a Rolls-Royce Allison 250-C20B jet engine into the back of a MINI Cooper S. Super crazy! Its got unimaginable power. 420hp, 400lb-ft of torque and a 4WD now. Hit the jump to watch the videos of it speeding with monstrous power!